Beginning April 12th 2019, travellers will be able to fly Boston to Seoul direct on Korean Air. The airline’s three-class Boeing 787-9 Dreamliner will offer customers a range of flying choices – including six of the Korean Air’s fully-flat first class sleeper suites. Flights will operate five times a week in cooperation with the airline’s new joint-venture partner, Delta. So let’s take a look. Early in 2018, Delta announced a new non-stop route between Minneapolis/St Paul and Seoul. To complement this service, Delta’s partner Korean Air have now announced another North American departure to the South Korean capital – a Seoul to Boston direct flight landing at Logan. Some are heralding this as very smart move by the partnership. Boston is a major gateway for high tech industries. And it’s thought these could benefit from a closer relationship with Asia, and Seoul in particular. Bean Town is considered a popular, unserved destination for travellers arriving from South Korea and Logan is also an airport on the up. After a HOK architectural redesign of Terminal A in 2005, the airport has firmly stepped into the 21st century. So, it’s no surprise that the joint venture have chosen to launch their 5 times a week flights between Boston and Seoul from Logan. By setting up this regular schedule, Korean Air are helping to concrete Boston Logan’s position as the airport of choice in the region. Using Korean Air’s 787-9 Dreamliner, the flight will cover over 6,800 miles in each direction. And although this is the airline’s smallest fleet aircraft, it is still more than capable of covering ultra long-haul distances. 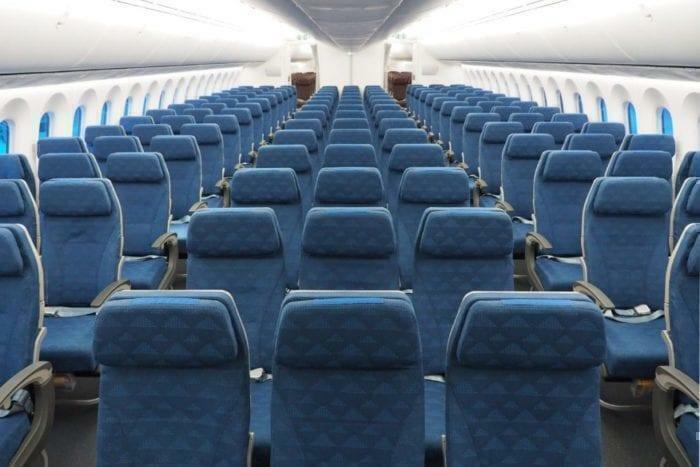 Inside, the plane is also perfectly equipped to bring passengers safely and comfortably to their destination. The Dreamliner offer a 271 seat capacity, which consists of six First Class suites, 18 Business Class suits, and 247 economy seats. The eagle eyed will spot that both First and Business from Boston to Seoul offer travellers ‘suites’. This is because both classes use the same Apex Suite. Having the same seats in both classes may be controversial, but in terms of practicality of layout, it’s ideal. The 6 unit First Class is so small it fits in one single row on a 2-2-2 configuration. 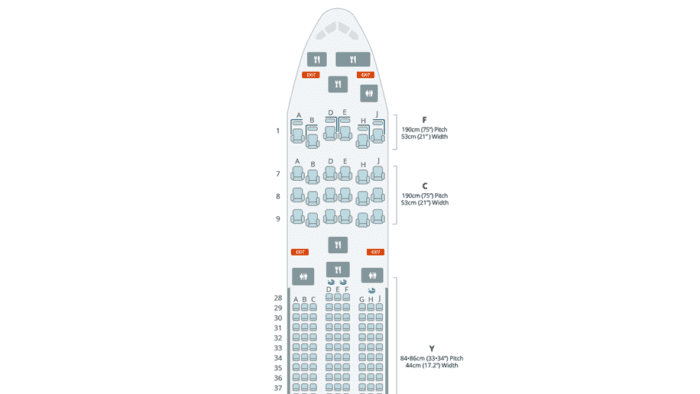 Behind it, Business class uses the same layout but takes up three rows. Both classes offer two partner seats directly side by side per row. Otherwise seats are offset for privacy. But what sets First Class apart from Business is really the service and perks. Farm-to-flight menus sourced from Jeju Island and pajamas by Gianfranco Ferre await First Class travellers flying Seoul to Boston direct. First Class travellers departing from Seoul with Korean Air Boston are also admitted into the First Class Lounge at Incheon Airport.